A young comrade with a knowledge of Polish has translated the following document from the works of Alexander Bogdanov (Alexander Malinovsky) who was born in 1873 at Sokolka in what would now be Poland to parents from Belarus both then integral parts of the Russian Empire. He was trained in medicine and psychiatry but was a genuine polymath. He not only made important discoveries making blood transfusions possible but also wrote science fiction (Red Star and Engineer Menni) and developed a reputation as a philosopher. He was attracted to Lenin’s version of social democracy in 1903 because he believed that the discipline of a workers’ party was preferable to the opportunism of most intellectuals in Russia at the time. 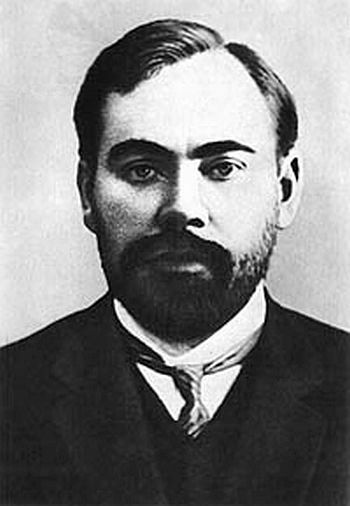 In the 1905 Revolution Bogdanov played an important role in trying to unite the Bolshevik and Menshevik factions and was at this time a great asset to the Bolshevik faction during the Revolution of 1905. His break with Lenin came about as a result of Lenin’s insistence in using all legal channels in the period of reaction to maintain the profile of the Bolsheviks following the failure of 1905. This included using the new parliament, the Duma as a revolutionary tribune. For this Bogdanov is sometimes associated with the Communist Left but we are writing this short piece to show that in fact he was far from sharing the fundamental positions of the communist left as we understand the term today. He was though on the “left” of the Bolshevik organisation in his opposition to Lenin’s tactic of using parliament as a tribune to popularise socialist ideas. There were two groups opposed to Lenin here. The first of these was the Otzovists or “recallers” who demanded that the Bolsheviks 6 MPs be simply recalled. Bogdanov though did not side with them but with another grouping called the Ultimatists, so-called because they wanted the parliamentary delegation to be served with an ultimatum to make their conduct more revolutionary (something Lenin was later to agree with when they were all put on trial in the First World War and Kamenev, in particular, tried to deny that the Bolsheviks were opposed to the war). Bogdanov’s attempt to reconcile Marxism to the idealist philosophies of Mach and Avenarius (in three weighty volumes called Empiriomonism) now came under closer scrutiny. He had already been denounced for this work by Plekhanov but Lenin had stayed out of the debate claiming that though he thought Bogdanov wrong he had no expertise in the question. However in 1908 the struggle was now over what direction the Bolshevik organisation would take and Bogdanov was arguing that the struggle for socialism was simply a battle of ideas. Lenin rejected this and so spent much of 1908-9 reading copious works in order to prepare a philosophical response. The result was one of the longest (but not the best) works he ever wrote Materialism and Empirio-criticism which denounced Bogdanov’s efforts to temper Marxism as “absurd, harmful, philistine and clerical”. they could not accept this obvious break with Marxist materialism. Most of the group like Lunacharsky, and later Gorky, returned to the Bolshevik Party after 1912 and Bogdanov himself even contributed to the St Petersburg _Pravda_ although it is unclear whether he actually rejoined the Bolsheviks__. During World War One Bogdanov was called up to the Army as a doctor at the front and survived the battles of Tannenberg and Masurian Lakes in 1914 but, suffering from shell shock, was transferred to a hospital dealing with evacuees. He continued his political writing for Vpered claiming that the militarisation of society in the First World War had brought in “war communism” which would be followed by “state capitalism”. He played no part in the 1917 Revolution but hoped for a reconciliation of all the socialist parties in a Constituent Assembly. It was though only after the October Revolution that he got the opportunity to put into practice some of his ideas on “proletarian culture” as expressed in the essay below. The Proletkult movement (1918-20) was independent of the state and the Bolshevik Party, but as Lunacharsky was now Commissar for Education he had a patron who generously financed the Proletkult movement out of his departmental budget. The weakness of this was that Proletkult had no source of finance of its own and it only lasted 2 years but its advocacy of futurism, constructivism and other avant-garde art forms made a significant impact on society which lasted right down the decade and influenced not only art but the films of Eisenstein and the theatre of Mayakovsky. Lenin famously conservative in artistic taste disliked it and considered that the resources should be spent on the basic education of adult workers. Its budget was taken over by Nadezhda Krupskaya’s Adult Education Division of the Department of Education after the Central Committee denounced it as petty bourgeois in December 1920. It continued to exist for a while but Bogdanov was removed from its central committee and ceased all involvement with it after 1922. The Communist Party … after becoming the ruling party, the party of the organisers and leaders of the state apparatus and of the capitalist-based economic life … irrevocably lost its tie and community with the proletariat. There is some truth in this but also it is an oversimplification in that the proletariat of 1917 had been decimated by nearly a decade of constant war and had remained isolated without the assistance from abroad that the Bolsheviks (first among them Lenin) had so clearly counted upon in 1917. The Workers’ Truth group had begun to question whether the October Revolution was even a proletarian revolution at all. Although the group seems to have been composed of intellectuals its critique coincided with the workers strikes which broke out during the Scissors crisis of 1923 and this brought repression. Bogdanov was arrested by the GPU and accused of being a leading member but demanded an interview with Dzerzhinsky to deny he was involved in the Workers Truth group. He obviously succeeded in convincing him as he was released after 5 weeks and seems to have given up all political activity. In his final years he continued to carry out experiments with blood transfusions (apparently believing this would make him live longer) but one of these ended disastrously when he contracted malaria from a donor. He died in April 1928. Bukharin’s generous funeral tribute to him was published in Pravda. He did not hide his differences. I came here, despite our differences, to say goodbye to a man, an intellectual figure who cannot be measured by conventional yardsticks. Yes, he was not orthodox. Yes, it is our view he was a "heretic" … Bogdanov, despite his undialectical, schematic and abstract thinking, was undoubtedly one of the strongest and most original thinkers of our time. But he did recognise his contribution to the rise of Bolshevism as well as his contribution to literature in his science fiction novels. Our party cannot but be grateful to Bogdanov for the years in which he fought - hand in hand with Lenin - in the forefront of the Bolshevik faction ... He went along with the party and headed its whole historical period, during the first attacks of the proletariat. The first heroic bloody battles, received their artistic expression in the final pages of "Red Star" that awe and delight read our revolutionary youth. He had an enormous influence on a generation of Russian Social-Democracy, and many comrades owe to him the fact that they set foot on the path of revolution. And Bukharin whose own days in the Politburo were now numbered added that his comments were endorsed by Lenin’s widow, Krupskaya. The document which follows is thus to be understood in the context of someone who tried but largely failed to give historical materialism a spiritual dimension. He is more successful if we look at his attempt to broaden the notion of revolution beyond the economic. That is what proletarian culture was really about for him and there is no doubt that Proletkult, for all it weaknesses, created a dynamism in the cultural life of early Soviet society which still excites admiration to this day. Indeed the lively artistic scene of the 1920s gave an international gloss to the USSR which hid the failures of its political and social model for some time. And who can disagree with his comments on the family here which show that the struggle for socialism is not simply about ending the wageworker-capitalist relationship but is about an entirely new concept of society, a revolution in everyday life, and these too have to be consciously fought for as much as the class consciousness necessary to overthrow the capitalist system. A socialist society is one in which all social production is organised on consciously comradely principles. All the other features of socialism stem from this fact: social ownership of the means of production, abolition of class, and wealth distribution which allows everyone to fully use their productive energy according to their ability. These conditions can only be realised when there is a basis for their existence – comradely organisation of all production, i.e. only when the working class achieves victory and gains the ability to organise society on its own terms. Until that moment, the gradual disappearance of class, the gradual move towards a social ownership of the means of production, and a planned distribution of the social product, will not be possible. Any socialism in the property relations between people is not possible until labour relations become fully socialist relations. Opportunists are mistaken when they search for the origins of a socialist economy in trade unions, cooperatives, in the enterprises of a democratic state and territorial self-government. The increase of the worker’s wage, forced on capitalists by the trade unions, has nothing to do with socialist distribution, if only because it does not provide the guarantee of being able to earn that wage. The property of a cooperative remains capitalist property if only because it is subject to buying and selling, takes the form of money, is stored in a bank, is dependent on the economic cycle and changing prices, etc. The enterprises of even the most democratic state or the equally democratic self-government, in which socialists constitute a majority, do not stop being capitalist enterprises, as they are organised on the basis of employment of workers, are subservient to the conditions on the labour market, on the market of tools and objects of labour, on the money and credit market, etc. As long as the power of money and capital – the master of world production, are upheld, there is no way we can speak of a socialist economy. However, socialism is not only about the future, but also about the present, it is not only an idea but also a reality. Socialism grows and develops, exists among us. Only not where our opportunist comrades search for it. Socialism lies deeper. It is the comradely bond of the working class, its conscious organisation of labour and its social struggle. We should not search for socialism in the economic activity of worker’s organisations, trade unions, parties, or others, but in actual class cooperation. This is not the socialist prototype, but it is its real foundation as it lies within comradely bonds of labour. The more this cooperation grows and develops, the tighter the frames of old society become, and the contradiction between the two becomes clearer. The time when these frames start to fall apart under the powerful pressure of a new power, which requires new forms, is not far off. Everything indicates that a series of dangerous revolutions will begin under our own eyes. This epoch of the last struggle will surely be incredibly difficult, and revolutionary crises – incredibly cruel. But eventually the rotten shell will be cast aside. Socialism will cease to be just the class cooperation of the proletariat and will take over production as a whole. New organisation of property and distribution, a new social economy, will then become reality. Someday socialism will become everything, for now it is already a powerful tendency, paving its way in reality with a concrete social force antithetical to other social forces, a specific method of organisation of people antithetical to other methods. Of course, the contemporary conscious socialist combatant is not a selfless protagonist, sacrificing himself for future generations, but a worker taking part in the creation of contemporary life. It is completely obvious and understandable that a large and powerful social class wants to live its own way, and not how the old society dictates; that it develops its own forms of interpersonal relationships and expresses them in its own social ideal. This ideal arises from a proletarian spirit, not from pure dreams of fraternity or as a result of protest against a cruel social order. It is the reflection of the actual development of labour relations within the working class, remaining in deep contradiction with the existing system. The conscious comradely organisation of the working class today, and the socialist organisation of the whole society in the future – these are only the different instances of the same process, different stages of the development of the same phenomenon. If so, then the struggles for socialism cannot be reduced only to the war against capitalism, to the simple accumulation of forces necessary to wage that war. This struggle is simultaneously a positive, creative effort – the building of ever new socialist elements in the proletariat itself, in its internal relations, under conditions of everyday life. It is the construction of a socialist proletarian culture. The field of this work are the various areas of life. It is not enough to unite proletarians in organisations, it is not even enough to put forward the slogan of economic and political struggle, just as it is not enough to enlist soldiers in an army and announce the military campaign. The main strength of an army lies in what they call “morale”, i.e. in its internal ties and interrelations, in unity of thought and feeling, which penetrate and transform it into a living unified organism. The same concerns the working class. Only its task is immeasurably broader and more complex compared to the tasks of an ordinary army. This means the internal ties of the proletariat, its spirit of unity, needs to be even tighter and deeper. Socialists should aim at developing the truly comradely relations in the practice of the proletariat. Meanwhile, even in organisations we can observe a mass of holdover relations, which have nothing to do with socialism: conflicts of ambitions, authoritarian temptations of various “leaders”, and the unconscious subordination of some supporters to them, aversion of anarchistically inclined individuals to comradely discipline, involvement of personal interests and motives into the collective cause, etc. All of these matters are unavoidable, since the proletariat did not come into this world in the form of an already shaped class. It arose from the ruined burghers and peasants, from small property owners used to living in accord with their own individual interests and susceptible to subordination to influential authorities. It is understandable that it cannot quickly and easily get rid of the useless spiritual characteristics of these classes. Apart from that, worker’s organisations attract some non-proletarian elements from the revolutionary intelligentsia, and from the still gradually poorer petty-bourgeoisie; elements to which it is even harder to adopt the spirit and sense of comradely cooperation. Manifestations of individualism, ideological enslavement, ideological rule, should be constantly and incessantly combatted, explaining their incompatibility with proletarian socialism and the total impossibility of reconciliation. Especially hard and long persist the old habits in family life. The commanding relationship of husband to wife, the compulsion of blind obedience of children to parents – this is the basis of the current family. Capitalism destroys these habits, forcing women, youth and even children to labour in factories and – thanks to private earnings – giving them the ability for partial economic independence. But if in this situation old relations between family members are retained, then the head of the family often becomes the exploiter of his own wife and children. Generally, the enslavement of women prevents the working class from growing in strength, diminishing comradely ranks, making the woman a brake and a burden for the worker in his revolutionary efforts. Whereas the enslavement of children harms the socialist upbringing of future combatants. This is why socialists should energetically fight, in both word and by example, against any remnants of family enslavement, not regarding it as a private or unimportant matter. Too often it is the case that the worker propagandising in the workplace neglects to do so in his family, hand waving the backwardness of his own wife. Even today, cases of barbarism occur within working class families. Meanwhile, the working class family should already be permeated by the spirit of socialism, transformed by the power of comradely relations of labour. Socialism also requires a new science and a new philosophy. We know that the point of science and philosophy is to unite the experience of people as a whole, and the organisation of this experience into a harmonious order. But the experiences of the proletariat are different from the experiences of the old classes, which is why previous forms of learning are insufficient. Marx initiated a new social science and a new historical philosophy. We can imagine that the whole of science and philosophy will take a new character in the hands of the proletariat, because different conditions induce different ways of perception and understanding of nature. Contemporary science and philosophy possess a particular character: learning is divided into separate specialisations, each one weighted down by a mass of trivialities and subtleties, which require nearly a whole human life time to comprehend. Scholars themselves poorly understand each other, as each one does not see beyond their own specialisation. For the proletariat, in its life and struggle, science is needed. But not one which is only available to people in pieces and leads to mutual incomprehension, because in conscious comradely relations it is mutual understanding that is most important. The creation of socialist knowledge should aim towards the simplification and unification of science, the restoration of these general research methods which could constitute the key to the various specialisations and allow for their quick mastery. The same as a worker in machine production who, knowing from experience the general features and methods of technology, can relatively easily move from one specialisation to another. It is understandable that it will require much effort to bring the different sciences and philosophies to this state, but then they will permeate into the masses and receive an incomparably stronger and wider basis for their development. Science, the powerful tool of the labour process, will be in that manner socialised, as socialism requires in relation to all tools of labour. Similarly to science, art also serves in uniting human experience into a whole; only art does not organise it into abstract concepts but in living images. Thanks to this character, art is more democratic than science, it is closer to the masses and more widespread within it. The proletariat needs its own socialist art, permeated with its own feelings, aspirations, ideals. We can already indicate the first steps leading to its formation. True, these are only the first, but extremely difficult steps. Some artists and poets of non-proletarian origin have allied with socialism and with their talents want to serve the great cause. On the other side, in the working class environment one can meet more and more beginner writers, who with the power of art want to express the spirit of the proletariat. The former are in large part unable to take the point of view of the proletariat, to see life through its eyes, to feel with its heart. The latter lack artistic education, the skill of clearly expressing their experience, their deepest thoughts and feelings, in images. But they will achieve all of this with time through their work and talent. Then new art will suddenly spread among the masses, will incite to struggle and teach, will lead forwards to a bright future. It would of course be naive to suggest that already today, in a capitalist system, the proletariat would be able to formulate its own socialist culture. No, it is too large a task to be completed so quickly, too large are the obstacles standing on its way. The constant need for struggle against other classes alone imprints a specific trace on the emerging culture, forces it to reflect the contradictions of social life, prevents it from achieving the arrangement and harmony that will be possible only when, in a unified society free from class struggle, there will be socialism. Even so, there will not be a time when culture would prove to be finally shaped and could stop its development. The aim of human life is not fulfilment, but creativity and constant forward motion. This aim is closer to the proletariat than any other class, previous or contemporary. Creating, in an unparalleled struggle with old society, its own forms in all areas of life – in everyday labour, in social activity, within the family, in scientific and philosophical knowledge, in art – the proletariat will increasingly live its own way. It will socialistically transform itself, to then socialistically transform all of humanity. Daniels op. cit, p. 25. Stephen Cohen in his Bukharin and the Bolshevik Revolution asserts that Bogdanov left the party for good in 1909 but Daniels seems to think he rejoined.